The holidays are right around the corner and while that is so exciting, it also makes me start thinking of my waistline. 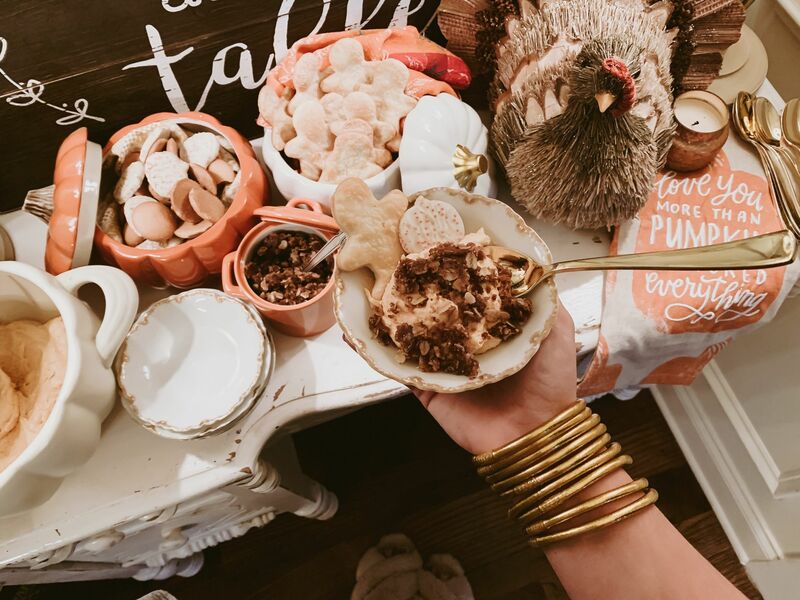 I like to have a balanced Thanksgiving, while I can’t give up the cheesy, gooey casseroles, I can find a lighter dessert and not feel like I need to hibernate for ten years after dinner! My biggest issue when it comes to ‘healthier’ desserts is they’re usually pumped full of fake sugar, call for a list of ingredients I don’t have and a trip to Whole Foods or take five years to make (or all of the above!). 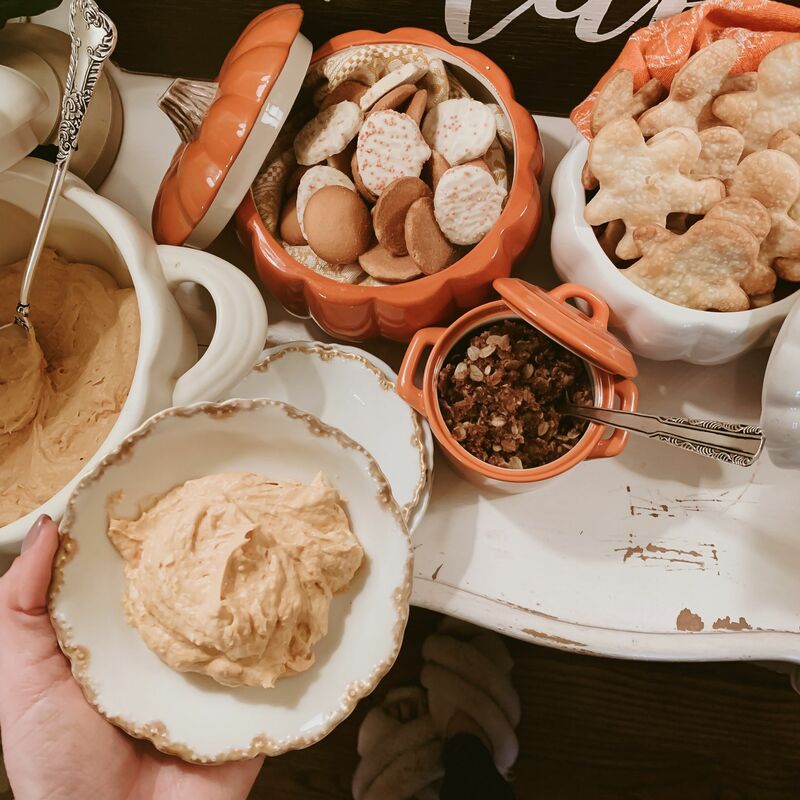 When I was looking to create a new recipe for you guys, I thought about a few of my favorite ‘lower cal, lower carb’ ingredients and found the perfect Healthy Pumpkin Pie Fluff! 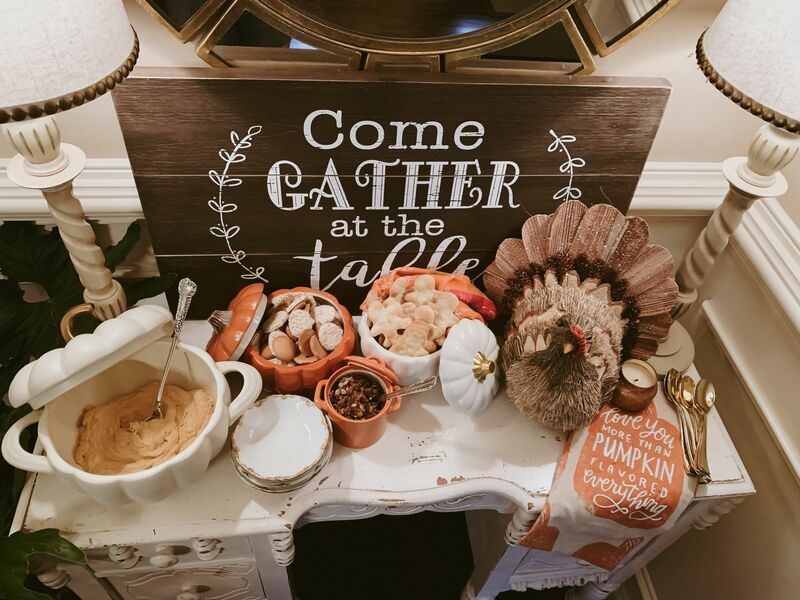 I’m also sharing a fun way to serve this during the holidays- a Build Your Own Pumpkin Pie Station. I love this setup because if you want to just eat the fluff, you can! 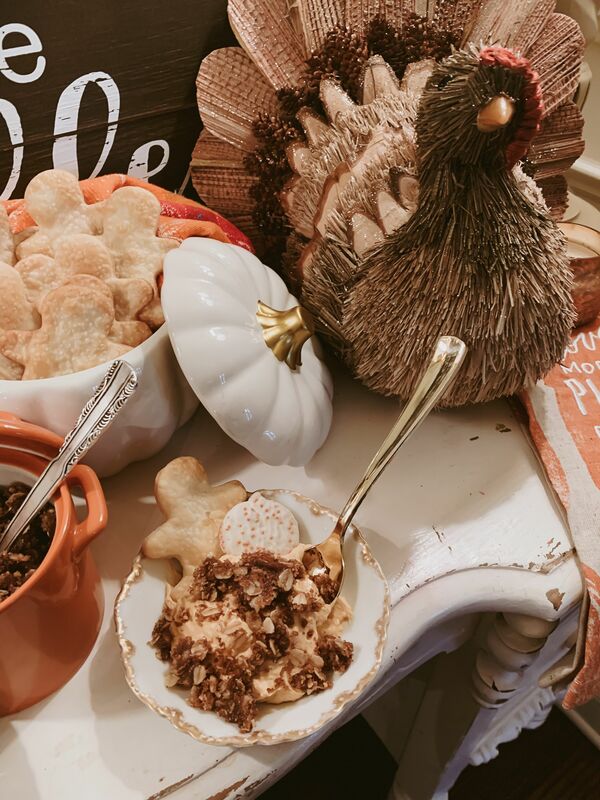 If you want to build the most delicious pumpkin pie parfait, you can! 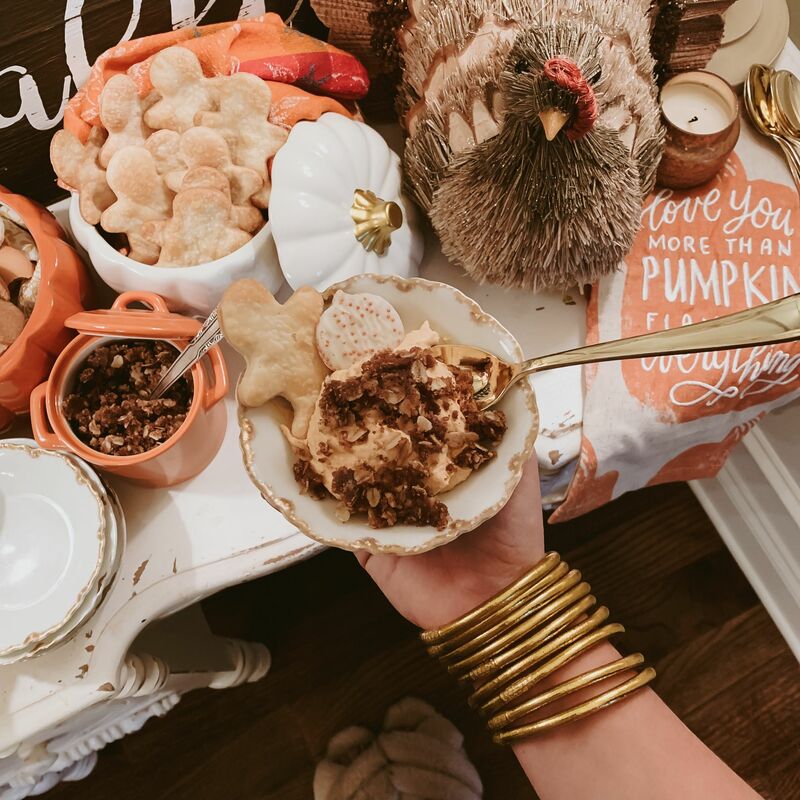 I’ve included super easy recipes for my Pie Crust Cookies and Cinnamon Oat Streusel Crumble at the bottom of this post. Although it only took twenty minutes to make & shoot this whole setup, don’t feel guilty if you want to serve the fluff as a dip with vanilla wafers and graham crackers- it’s still so good! How good does this healthy pumpkin pie look?! The cinnamon oat crumble is seriously like Fall crack. I had to throw away most of it because I would have eaten the whole batch with a spoon. The crispy topping pairs so, so well with the fluff, it’s truly such a fun twist on Pumpkin Pie. You cannot even tell how low calorie, low carb this recipe is. It tastes like a fluffy piece of pumpkin pie! 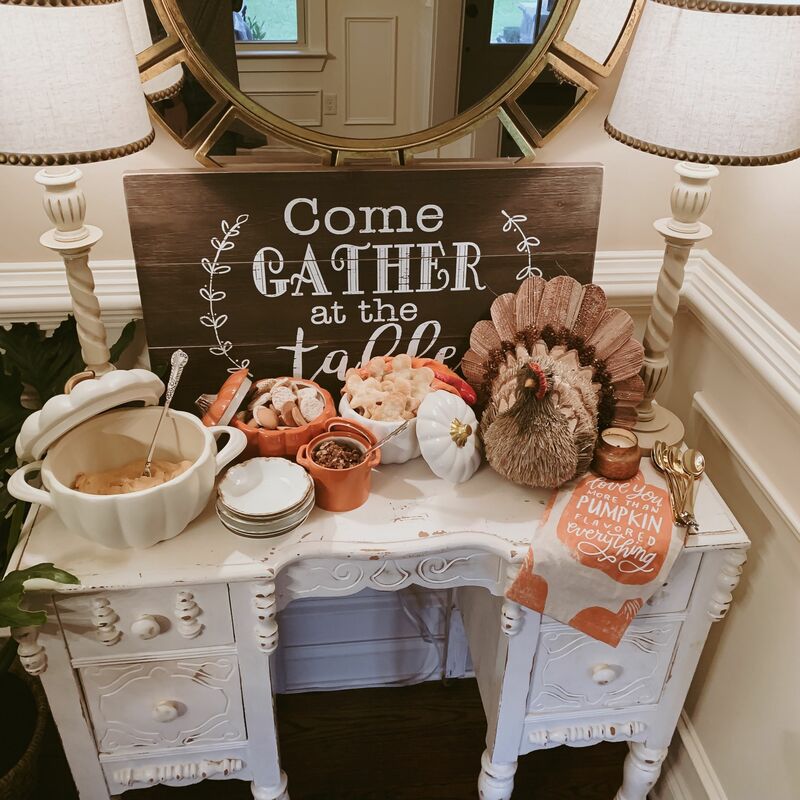 I was going to let my husband take some to his parent’s house this week but decided to wait because I’m actually going to do this set up for our Thanksgiving now. I can’t wait. See how simple this is?! It’s mind blowing that we’ve never made it before. I will be keeping this fluffy jar of heaven on repeat all season long. 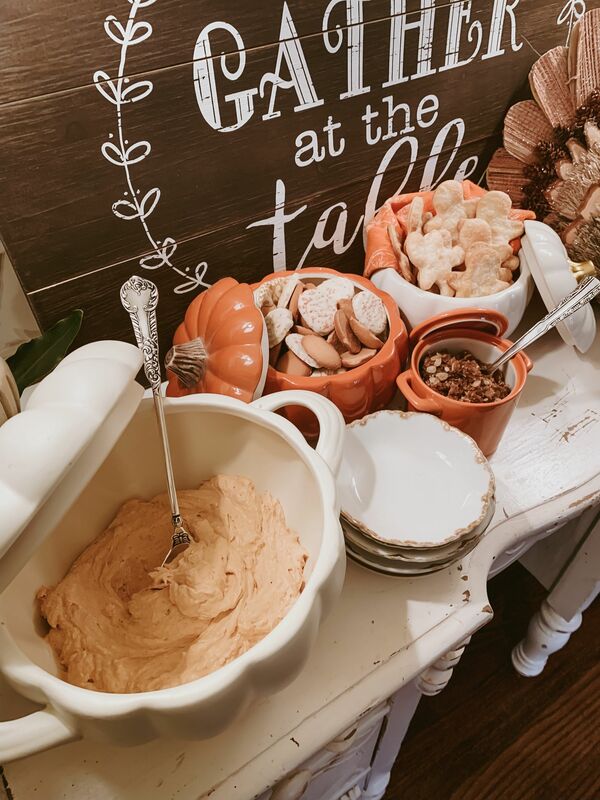 If you want to really take things to the next level (aka two more steps), you can create this Build Your Own Pumpkin Pie Station! 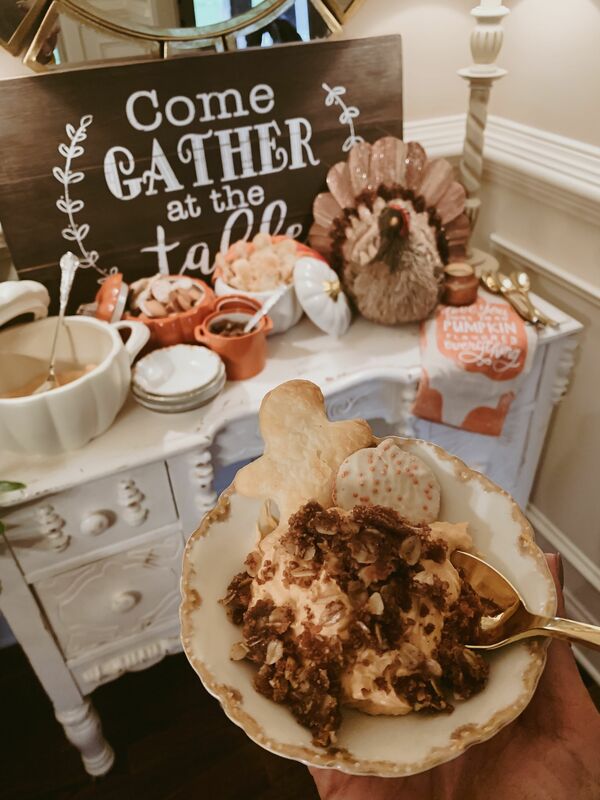 You could really add whatever toppings you’d like: Pie Crust Cookies, Streusel Crumble, Caramel Sauce, Pecans, Roasted Pecans, Dark Chocolate Chips. The list goes on and on. Let pie crust defrost according to the package. Roll out the crust and cut into pieces. 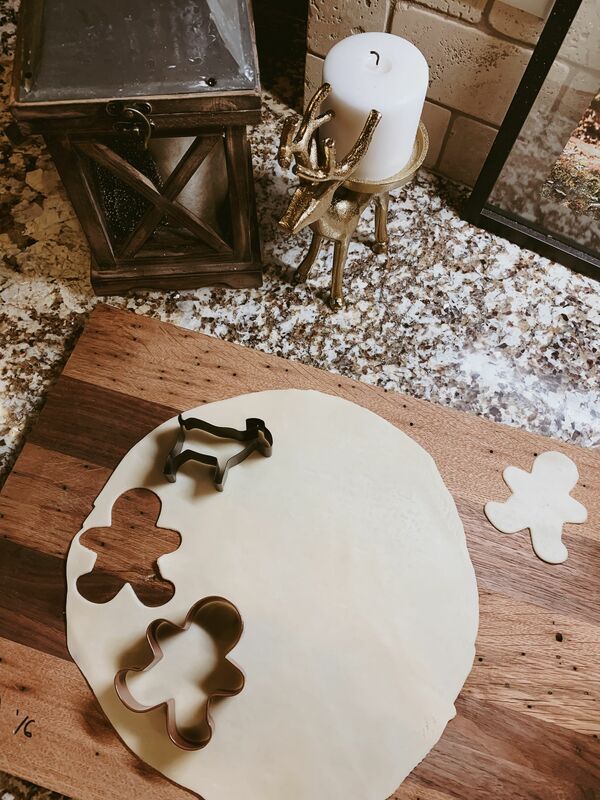 If you don’t have a cookie cutter, you could use a knife to make squares. Combine pie crust scraps, roll out and cut again until you don’t have enough left to cut. Place on cookie sheet and bake at the temperature on the package. Cooking time will be less, so keep an eye on them! You want them to be slightly browned on top. Spread out on a baking sheet and bake for about 5-8 minutes at 375*F. It should be slightly browned and bubbly. Remove and let cool until hard.